firms that changed the rules of the game in their respective industries by consistently meeting or exceeding customer needs and expectations. To find out how these companies do it, service management experts James Heskett, Earl Sasser, and Christopher Hart put the question to the chief executive officers of fifteen of America's leading service firms attending a workshop at the Harvard Business School. Breakthrough leaders, they discovered, think very differently about their businesses than do their competitors, in distinct and well-defined ways. 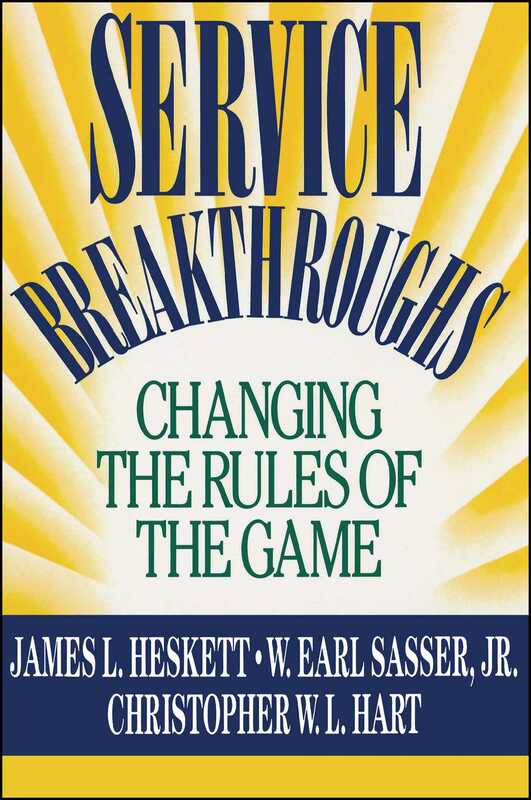 Now, in Service Breakthroughs, based upon five years of exhaustive research in fourteen service industries, Heskett, Sasser, and Hart show exactly what enables one or two companies in each industry to constantly set new standards for quality and value that force competitors to adapt or fail. but thorough understanding of the "self-reinforcing service cycle" that replaces traditional management of "trade-offs." The "cycle" is a paradigm derived from the research results suggesting direct links between heightened customer satisfaction, increased customer retention, augmented sales and profit, improved quality and productivity, greater service value per unit of cost, improved satisfaction of service providers, increased employee retention, and further heightened customer satisfaction. With detailed examples and dramatic case studies of Mark Twain Bancshares, American Airlines, Florida Power &amp; Light, Federal Express, McDonald's and many other companies, Heskett, Sasser, and Hart show how this self-reinforcing cycle of behavior differentiates breakthrough leaders from their "merely good" competitors. service delivery system as a facility where the service is producted and sold, breakthrough firms see it as an opportunity to enhance the quality of the service.